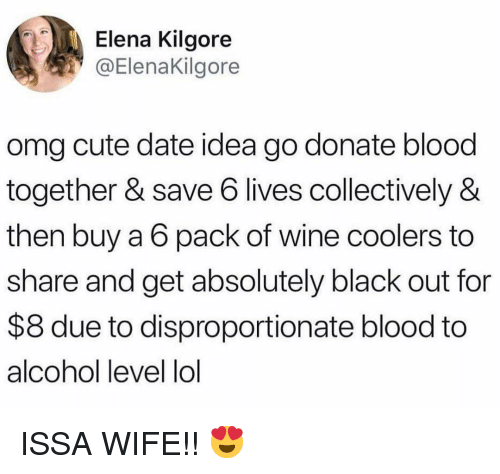 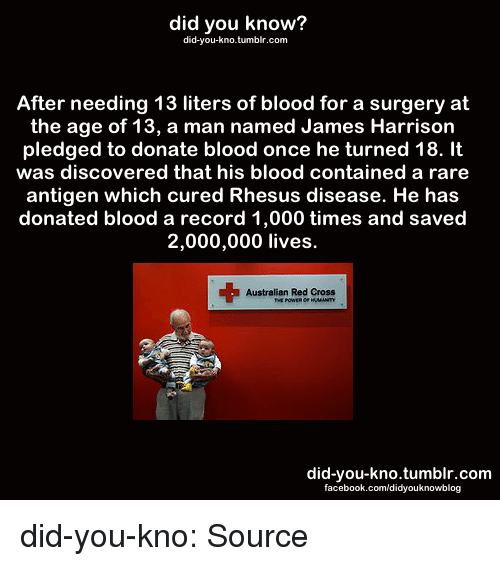 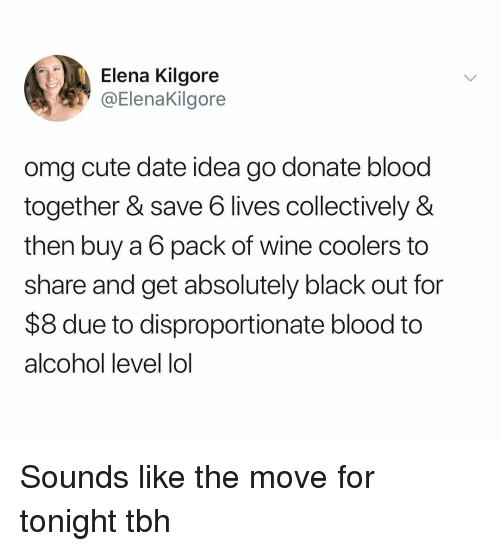 Cute, Lol, and Omg: Elena Kilgore @ElenaKilgore omg cute date idea go donate blood together & save 6 lives collectively & then buy a 6 pack of wine coolers to share and get absolutely black out for $8 due to disproportionate blood to alcohol level lol Is this how MENSA people date? 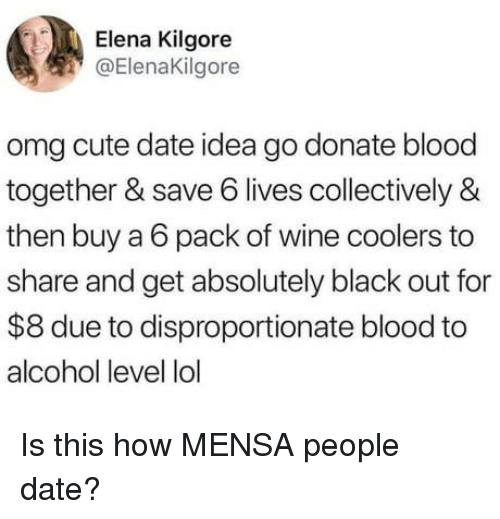 Is this how MENSA people date? 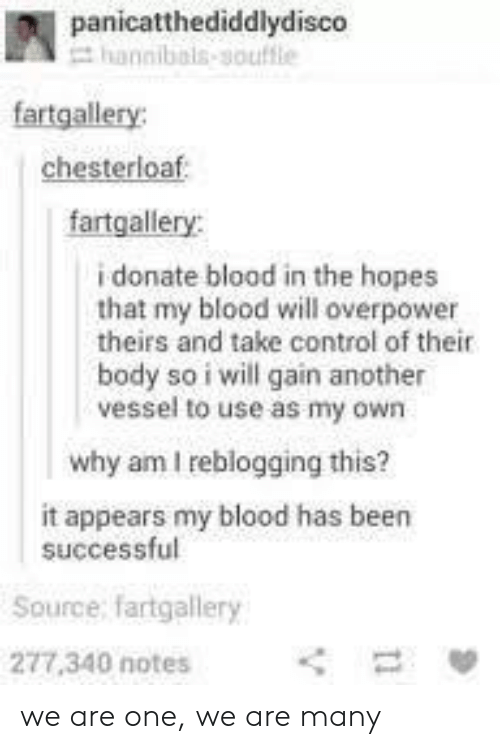 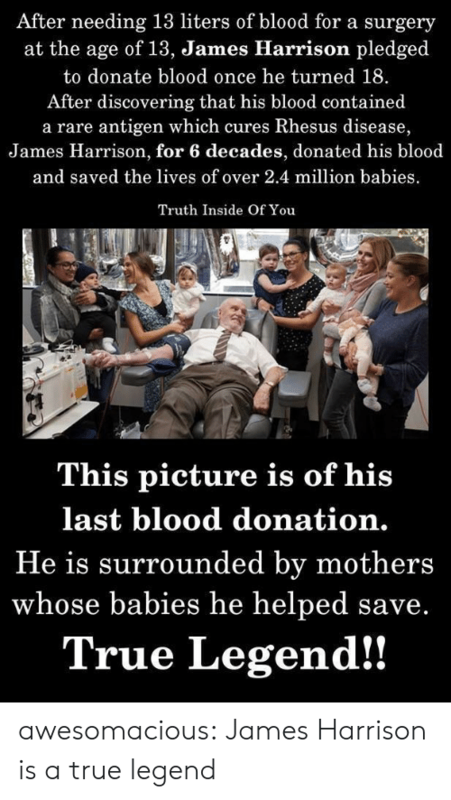 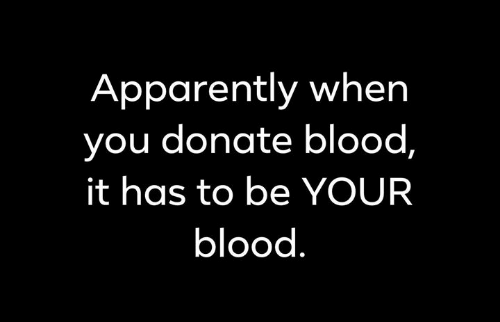 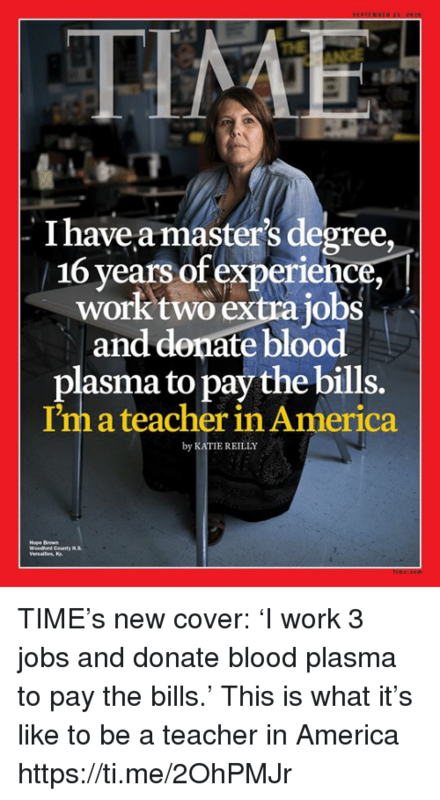 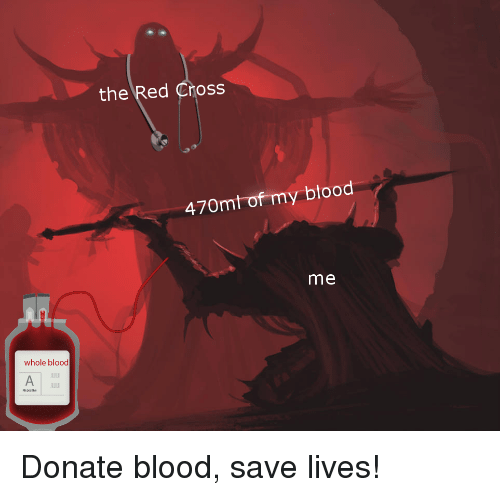 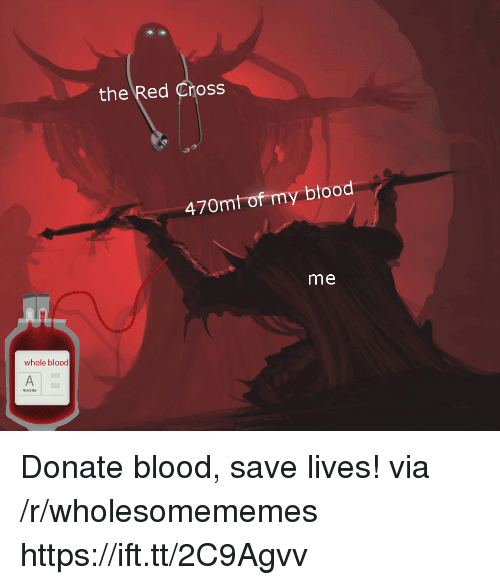 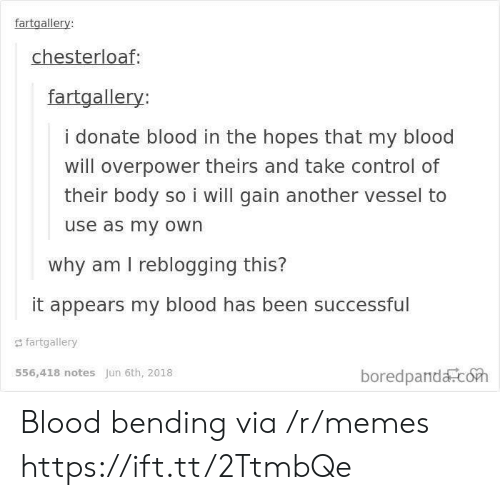 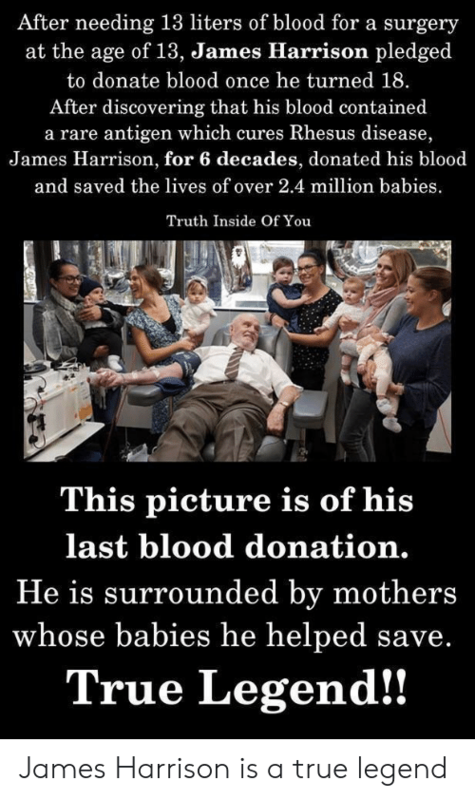 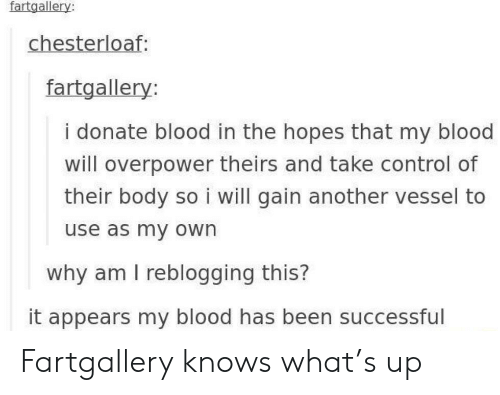 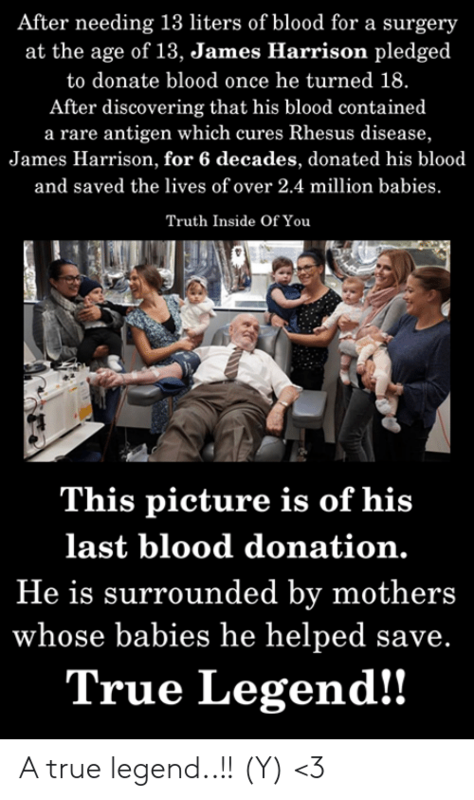 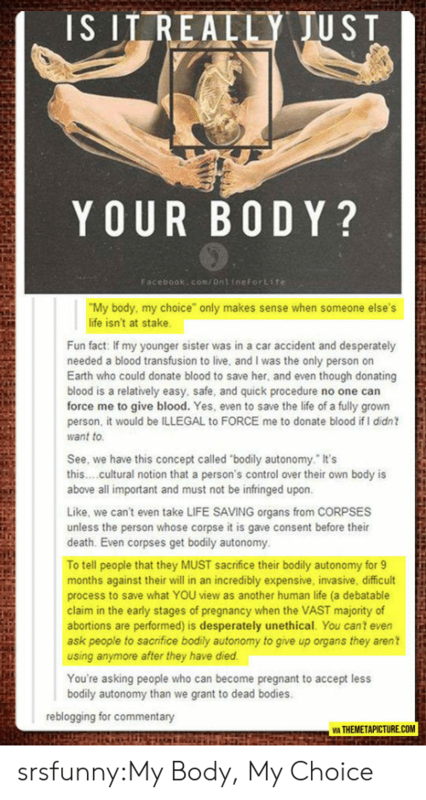 Tumblr, Uber, and Work: When I donate blood, I do not extract it myself, a nurse does it for me. 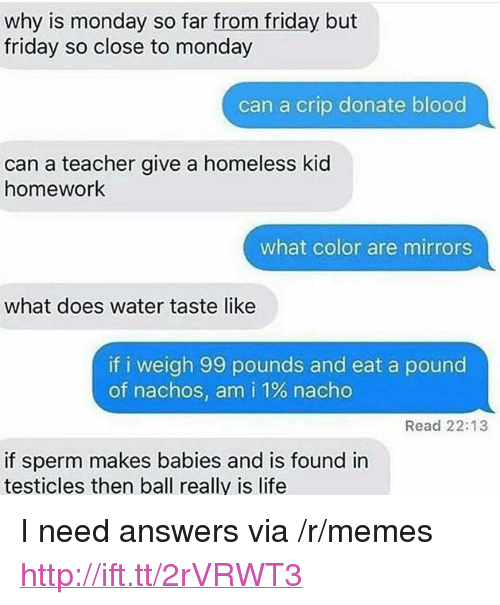 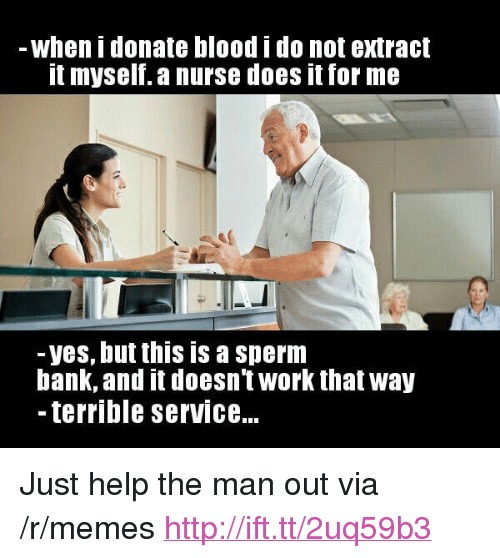 Yes, but this is a sperm bank and it doesn't work that way. 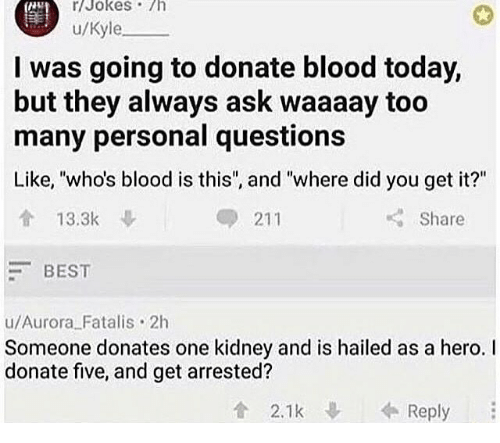 Uber Humor stevche Steve holt! 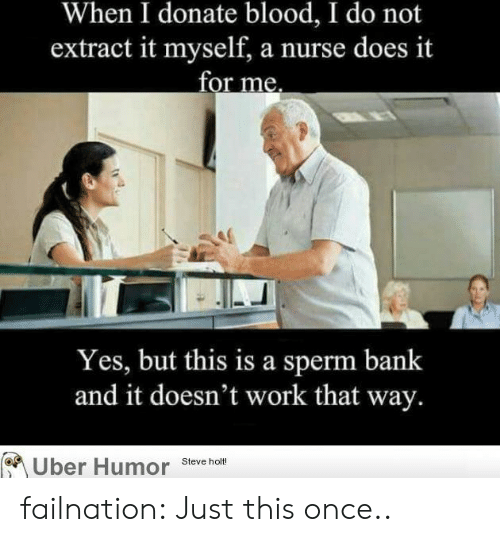 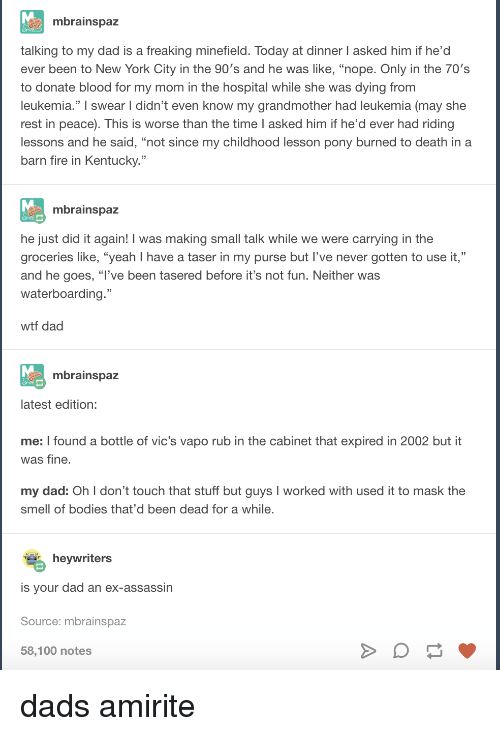 failnation: Just this once.. 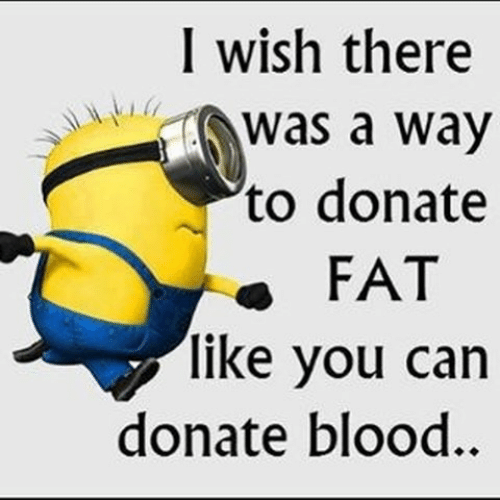 Fat, Blood, and Can: I wish there was a way to donate FAT like you can donate blood.